I’m such a fan of the annual AWP conference that I dedicated an entire chapter to the organization in my 2011 book, The Low-Residency MFA Handbook: A Guide for Prospective Creative Writing Students. As we near this year’s conference, this time hosted in Boston, I’ve been thinking about how to describe the experience, particularly for newcomers and prospective grad students. And then it hit me. Why not just share an excerpt from my original rave? Some of the data (like attendee numbers) has increased in number, but you’ll get the idea. Arguably one of the most anticipated writing events in any given year is the AWP Annual Conference & Bookfair. Hosted in a different North American region each year, writers from all walks of life converge at the Conference and participate in hundreds of writing-related panel discussions, lectures, open forums, and on- and off-site literary readings. But that’s a fairly formal overview. What you really need to know is that the Conference draws in more than 8,000 attendees and more than 500 publishers — publishers that want to meet you. The Bookfair, which runs concurrently with the Conference, is the primary networking hub where writers are invited to interact and have informal conversations with editors, publishers, and writing program representatives. If you are a prospective student, or even just considering the graduate degree for “someday” in the future, the Bookfair is the best way to meet an entire spectrum of program reps all under one roof. Each program has a designated booth or table where directors, faculty, alumni, and current students make themselves available to answer questions, provide information, and share their personal experiences. There really is nothing like having a one-on-one conversation with people who know, really know, the programs you might be applying to, so this is one of my top recommendations for prospective students. In addition to the writing programs, the Bookfair is also a great way to introduce yourself to hundreds of literary magazines, publishers big and small, and other writing-related organizations and service providers. As you walk through aisle after aisle, in a maze of booths and tables, your back will start to hurt for all of the swag you have stashed away in your AWP-provided shoulder bag. But it’s so worth it. Through your Bookfair journey, you will find incredible discounts on books and pick up complimentary back issues of lit journals, writing magazines, and other promotional items, not to mention so many business cards and contact names you will need to take a break to organize and recoup — but just for a bit, because there is so much more waiting for your discovery. The events last a few short days, but provide a year’s worth of motivation and inspiration. Through personal conversations with editors, publishers, and program reps, you will be on fire with the desire — the need — to get back home and write until your pen is dry. But don’t dare leave the conference until you have soaked up every last piece of information, and met every last editor and director. You will walk — or crawl — away from the conference feeling exhausted, but more creatively refreshed than when you were on Day One. That’s not only because of the official Conference offerings, but also because of the fantastic discussions about writing you had with writing friends old and new. All of those ‘friends’ you have online? They’ll see you at the conference. All of the editors you work with via email and over the phone? You’ll catch up over a lunch. If you can only attend one such event in your lifetime, go to the AWP Conference & Bookfair. It will provide you with enough oomph to last well beyond the few days when writers from various geographic regions invade a (slightly unsuspecting) city to create the literary nucleus of North America for one short week. You needn’t be a member to attend the conference, but there are registration fees and travel costs to consider. However, the Bookfair is open to the general public at no cost on the closing Saturday. Thus, if you are working with a strict budget, you can still absorb and benefit from the aforementioned perks. This really is an event that needs to be experienced at least once in your life as a writer. Excerpt from “Chapter 12: AWP Membership and Services” from The Low-Residency MFA Handbook: A Guide for Prospective Creative Writing Students (Continuum/Bloomsbury, 2011). Available on Amazon or at Bloomsbury. Or – if you’re attending AWP – visit the Bloomsbury booth in the bookfair where copies will be on hand! I’ve been chatting with Steve May and Tracy Brain about the new low-residency PhD in Creative Writing program at Bath Spa University. Today, Tracy responds to a few of my questions to help potential applicants understand what the program offers, how it differs from the campus-based option, and what a new student may expect during residencies and distance terms. Q: The Bath Spa PhD in Creative Writing program may not be new, but the option for North American students to study in a low-residency format has recently been introduced. Can you tell us how the low-res option came to be and how it differs—if at all—from what your domestic students experience? What makes the low-residency stream of our PhD in Creative Writing programme so strong is its emergence from a programme that we have developed carefully over two decades. Technology alone cannot deliver excellent distance learning; it’s only the vehicle for delivering something that is truly excellent. The low-res option came to be because we were receiving increased numbers of applications for our programme from exceptional writers based in America, who were unable to relocate to the UK but wanted to undertake postgraduate study with us. The standard of successful applicants to the Bath Spa PhD in Creative Writing is outstandingly high; this is the case whether the applicant is for the low-residency or campus-based stream. Our students, low-res and campus-based alike, form a wonderful community of writers and thinkers, many of them award winning, many of them published, all of them exceptionally talented writers and thinkers. Unlike the campus-based PhD students, our low-residency students are ‘cohort’ taught by a team of supervisors who are carefully selected depending upon the specific needs of a given cohort. All members of the supervisory cohort have an equal amount of input into the students’ work, which is exciting for the students. The low-res students also differ in terms of the recruitment cycle, which opens in January and closes in April, with a start date of the following October 1st for successful applicants. Our low-res students are subject to the same processes and quality check-points of enrolment, registration, annual monitoring, progression assessment, and viva as all of the University’s PhD students. It is important to note that the proposed PhD must be new work; that is, it cannot be a development or completion of a manuscript that you began for an MA or MFA, but must be an entirely new project. As well as a full length manuscript, students will engage in a piece of contextualising research of approximately 20,000 words. Examples of the creative and contextualising elements of PhDs in Creative Writing can be found on our website. Q: The low-res program includes one residency per year, coinciding with the Bath Literature Festival. Can you give us an inside look at what a residency schedule includes? What can students expect during this ten day period of study? The residency period is rich and intensive. The activities are too numerous to list here. But here are some of the activities included in the programme for the February/March 2013 residency. Throughout the ten day period, students will select events from the Bath Literature Festival’s exciting programme. They will participate in a Master Class workshop with the campus-based student (this year’s is to be led by Professor Fay Weldon). They will have individual tutorials with experts about their writing (this year’s tutorials will be led by Professor David Harsent and Professor Tessa Hadley). They will have face to face supervision sessions with their cohort supervisors, Professor Gerard Woodward and Dr Tracy Brain. They will take part in a Bath Literature Festival event alongside the campus-based students. They will participate in an intensive workshop that focuses on the contextualising research of their PhD. They will be given a seminar on the Library’s electronic resources, and access to copies of all past Bath Spa PhD in Creative Writing theses. There will be a session, together with the campus-based students, on reading and talking about their writing to an audience. There will be opportunities to socialise with their supervisors, Bath Spa University writers, and the campus-based students. There will be a private tour of the staterooms and paintings at Corsham Court. The Dean of the School of Humanities and Cultural Industries will host a special dinner to welcome them! And of course, there is the beautiful city of Bath itself—a special place to spend time in and get to know. Q: How, then, is the term work completed at a distance between residencies? The PhD program includes a full-length creative manuscript as well as a research paper of approximately 20,000 words. Can you give some insight into what a typical term may look like for an incoming student? Teaching is intensive, with video tutorials via Google Hangouts every two to three weeks, and six major submission points each year. From the outset, students work on their proposed creative manuscript (whether poetry collection, novel, short story collection, script or memoir) as well as their 20,000 word contextualising research. It is important to stress that ‘low-residency’ does not mean ‘low contact’. The low-residency students are integrated into the PhD in Creative Writing community through monthly participation in the monthly PhD in Creative Writing forums (also via video link—guests at this year’s forum include Professor Maggie Gee, the historical novelist Jane Borodale, and the literary agent Will Francis); through an electronic discussion board that is part of the new PhD in Creative Writing launch point in Minerva; and during the residential period in February/March, when low-residency and campus-based students work together in a number of ways, including their participation in a Bath Literature Festival event. Q: How many years should an incoming student expect to study in the program? The Low-Residency PhD in Creative Writing programme is for full time International students only. It is a structured programme for students who are strongly motivated to complete within a carefully circumscribed timescale, and have a clear idea of exactly what their PhD research and manuscript will entail. Students may work with extra intensity and submit their PhD after a minimum of two years. Indeed, the programme is designed to enable them to do this, though it also allows for students who may need more time. The time scale of doctoral programme will be negotiated between the student and their supervisors, and will depend upon progress. Q: With one year of the low-residency program already underway, can you share any experiences from the first residencies/terms that might shed light on the overall experience for potential applicants? One of the most exciting aspects of our first cohort of low-residency students has been to watch them integrate with the campus-based students, particularly through video participation in our monthly PhD forum. As Professor Maggie Gee said of our low-residency students, after leading the November 2012 forum, ‘They aerate the room.’ There is a genuine excitement and enrichment of the Bath Spa PhD from the integration of the low-residency and campus-based streams into one cohort. And it is thrilling to watch the student’s work development. When we announced in the December 2012 forum that the early chapters of one of the low-res students had been auctioned to Little Brown, the excitement of the whole cohort was a lovely thing to see. It’s worth saying also how very well the video tutorials work, and how well we get to know one another, and our work. 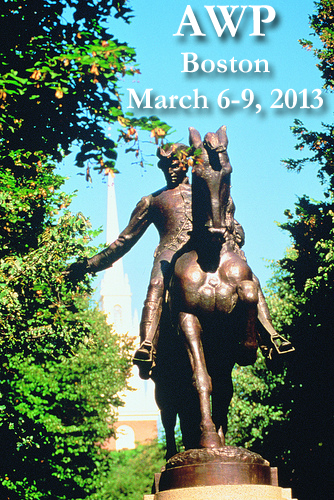 You can also find Bath Spa reps at the 2013 AWP conference in Boston. Check the AWP website for details.